On Saturday, twenty-five year old San Pedro boat captain, Byron Estrada, was butchered inside a popular nightclub on the island. Estrada was stabbed twenty-two times inside the bathroom of Daddy Rock night club and managed to stumble to the bar for assistance. He was taken to the San Pedro Polyclinic, but succumbed to his injuries an hour later. Police subsequently detained and questioned several persons before arresting thirty-three year old Edward Barahona, a laborer of San Pedro. 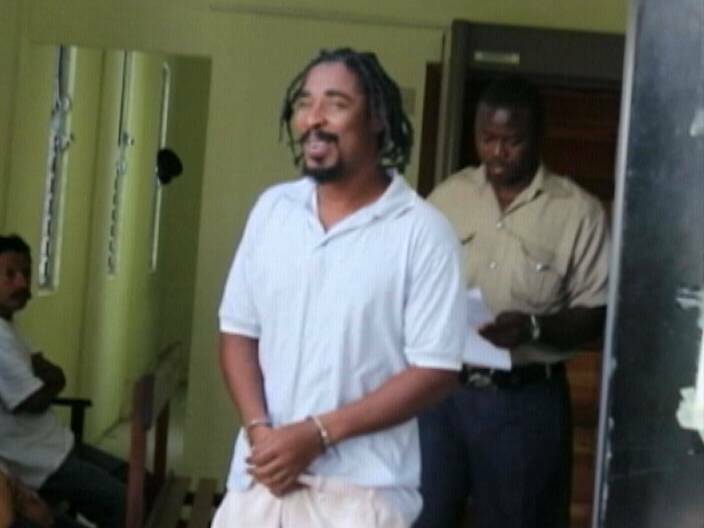 Barahona was arraigned before Magistrate Anne Marie Smith in Belize City today and charged with one count of murder. No plea was taken and he was remanded to the Kolbe Correctional Facility until March twenty-first 2013. Estrada is the brother of Charlie Espat and cousin of Daniel Alamilla, both of whom were murdered in June last year and buried in shallow graves in Santa Martha off the old Northern Highway. Make him tell who paid him to kill Estrada. 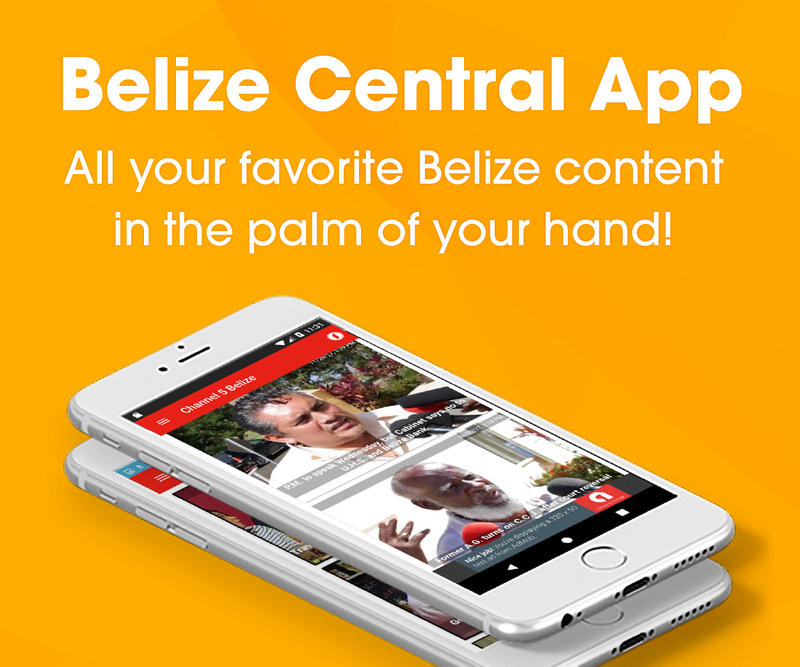 Belize City gangsters have turned San Pedro into a crime zone after dark. Then hang the one who called the shot. Is this country become a nation of savages? This person is in handcuffs and he is actually smiling like no big deal, I only killed a man. He took a life and has no remorse. He believes he can beat the system, that is what he is counting on. I bet if the death penalty was a possibility for him, he would not be so cocky about this heinous crime. To stab someone so many times knowing that he will die and just keep on stabbing. If that does not require the death penalty tell me what does. Please Mr PM it is time to do something and, quick, save the nation and our people. Sorry , PM only deals with gangs, he is busy, he has no time for good people, only gangs please, next consultation. He knows he is going to get away…what is the big deal…that is why he is all smiles…i wish that hanging was a possibility for this criminal. Channel 7 reporting that he had been previously convicted for murder but his life sentence was revoked successfully- no wonder he knows he will get away with another murder that is why he is all smiles. No Justice in Belize. guess we have to take the law into our own hands. Time for the tourists to boycott San Pedro and vacation in less known and safer places of Belize. He’s a dangerous animal, the police showed too much restraint in arresting him in one piece. He belongs 6 feet under. He was convicted 2005 for killing another man and got off; He should not be on the street right now he should be in jail however he was let out only to do it again mabe this time he will be jailed forever or be executed. Good luck! I’m with Nimbo, let the people organize their own patrols or militias to protect their communities. Villagers are doing it in Mexico today, hardening their villages and setting up checkpoints. The cartels try to find softer villages to victimize. Our criminal justice system is totally broken and cannot protect us from killers like this one. Or some others we can all name. We need to take the law into our own hands. This monster need to be annihilated. .he kill once he will kill again and again… . Look @ dat STUPID,DUMB ! @,he thinks its funny how much did u get u get paid dis time to kill dis young man,my son was di same age when her killed him,DAVID VASQUEZ & di same thing his family said he didn’t do it & he told me to my face he did it 7 got paid $200 Bze $$$$,c how cheap a person lif is in Bze,no worry u’ll pay more dan $200 when judgement day come,hope dis time u no get off,unu ppl weh call unu selves LAWYERS down there leave him to GOD!!!!!!! !